Hyundai showcased the refreshed i10 last year. Now Hyundai India has silently launched the same model here albeit with the Grand i10 moniker. 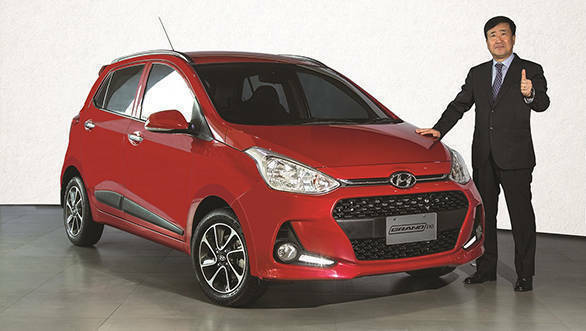 The facelifted Hyundai Grand i10 is priced between Rs 4.58-6.40 lakh for the petrol trims and Rs 5.68-7.33 lakh for the diesel, ex-Delhi. While the base petrol is now cheaper by around Rs 30,000 compared to the outgoing car, the top-end diesel price has increased by a similar amount. In the meanwhile, the freshly launched Maruti Ignis is priced between Rs 4.59-7.8 lakh, ex-Delhi. The diesel engine is now 1.2 litres in capacity as compared to the 1.1l U2 unit in the older car. This engine produces more power, 75PS and torque goes up by 30Nm to 190Nm. It is more fuel-efficient too. It is available with a 5-speed manual gearbox only, while the 1.2l petrol motor can be optioned with an automatic on the Magna and Sportz (O) trims. The petrol engine makes the same 83PS of power but boasts an improvement in fuel efficiency. Both the engines are Euro-IV compliant. Hyundai offers a warranty of 2 years or unlimited kilometres on the new Grand i10. 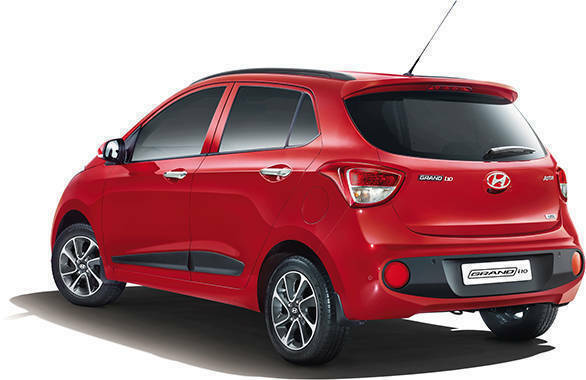 One look at the new i10 and you will know that this is a significant change for the model. The grille becomes much wider now and more pronounced. The front and rear bumpers too are new and so is the fog lamp design. LED DRLs add to the design quotient. The first-gen Grand i10 started the diamond-cut alloy trend, and the new car carries it forward with smarter-looking wheels. While the general layout in the cabin is similar to the old car, the infotainment system is now even more advanced. 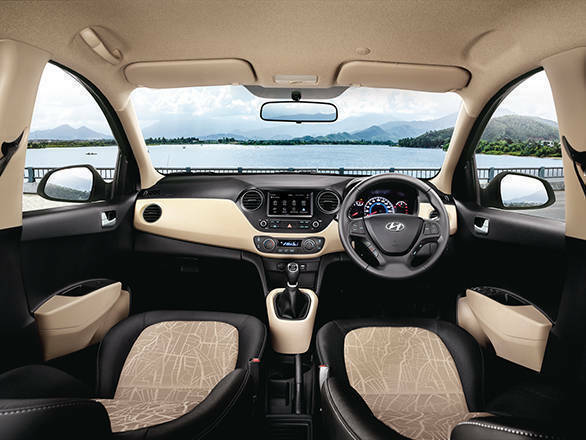 A 7-inch touchscreen system with Apple CarPlay, MirrorLink and Android Auto debuts in the new Hyundai Grand i10. It has navigation too and carries forward the 1GB music storage from the previous version. Hyundai has also added voice commands as seen on some Maruti and Ford products. The infotainment system is also the display for the reverse camera, which is now standard on the top trims. Parking sensors too are available. Other features like the auto dimming rear-view mirror, climate control, rear AC vent, and electrically adjustable and foldable mirrors are also part of the package. A driver airbag is standard while ABS is available only on the top-spec trims. Read our road test review of the new Hyundai Grand i10 diesel here.